As almost any tabletop gamer will tell you, game changes and additions will please some and anger others. This is true of technical expansions as well. 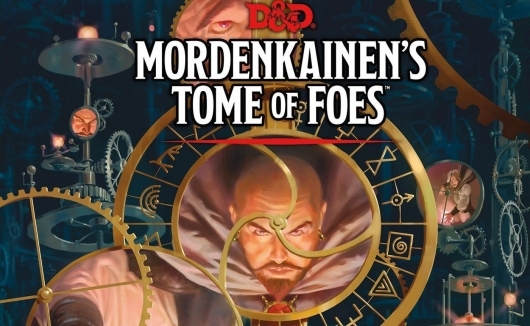 Knowing this, I took to the shops and chatted with friends regarding the newest Dungeons & Dragons source book Mordenkainen’s Tome Of Foes. I had already heard from a couple of buddies that impressions were polarized after the exclusive release at hobby and game shops on May 18th, with the rest of the merchants shelving it on May 29th. With that in mind, I wanted to take a more critical look at it from the eyes and mouths of other gamers, but of course I will add my own impressions to the review. If you’ve been following HBO’s Game Of Thrones, then you know that one of the storylines in this fantasy-drama involves dragons – more precisely, baby dragons growing into maturity and becoming, you know, DRAGONS! 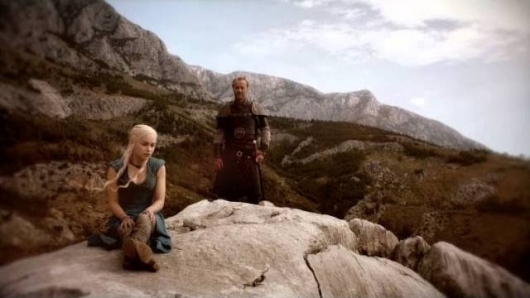 During Season 3, it was already obvious that the young dragons would soon outgrow their surroundings and possibly become too strong for their human “mother” Daenerys Targaryen to keep tame. HBO has just released a 30-second tease for the upcoming Season 4 called “Dany Dragons” that centers on Dany and her growing dragons. Also released today were two other character tease videos — “Tyrion Dungeon,” which is just how it sounds, and “Stark Direwolf,” which teases events involving members of the Stark clan show from the direwolf point-of-view. Watch all three character tease videos here below. Game Of Thrones returns to HBO for the start of Season 4 on April 6, 2014. 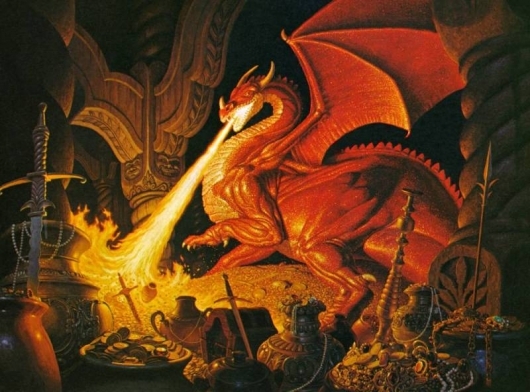 Some dragons are lovable, some are terrifying, but thanks to HBO’s Game Of Thrones and Peter Jackson’s upcoming The Hobbit: The Desolation Of Smaug film, dragons are back are everyone’s radar. The folks over at Watch Mojo have put together a video feature of the Top 10 Dragons from Movies and TV. You can watch the 8-minute narrated video here below. 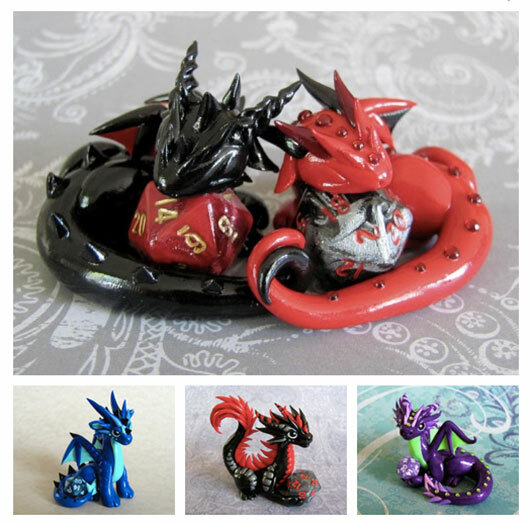 DeviantART user DragonsAndBeasties makes adorable colorful sculpted dragon figures that are perfect for holding your Dungeons & Dragons dice! She also makes other figures besides dragons, like cats and ponies, as well as other items besides figures, like necklaces, plushes, and glassware, but oh are the dragons figures so awesome! She hand-sculpts her creations in many different sizes, colors, and themes, like a few she’s offering now for Halloween. 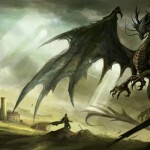 Could Peter Jackson’s Dragon Project ‘Temeraire’ Become A Mini-Series? The Temeraire series from author Naomi Novik began in 2006 and takes place in the ever-entertaining world of alternate history in which fictional stories and events are constructed around actual historical happenings. The series takes place during the Napoleonic Wars that ran from 1803 to 1815, but adds to it the existence of dragons who are manned and used in combat. So far, there have been five Temeraire books, with a ending being aimed for at nine books. For a while now, Lord of the Rings trilogy director Peter Jackson has had the Temeraire series as a potential project for him, but there has not been many updates. Recently, Jackson spoke to Ain’t It Cool News and spoke on the topic, which included information on how it may unfold, though it is way too early for any of it to be definite. With the series expected to be around nine books, it’s obviously very difficult to compact it all into one or more feature films. Because of this, Jackson thinks that the mini-series format, much like HBO does so well with titles like Band of Brothers could be a fair option, though it is always changing and would need to be researched further. Click on over to read Peter Jackson’s current thoughts on the possibilities, and head over to AICN for more on the topic and a much longer interview in the new future.